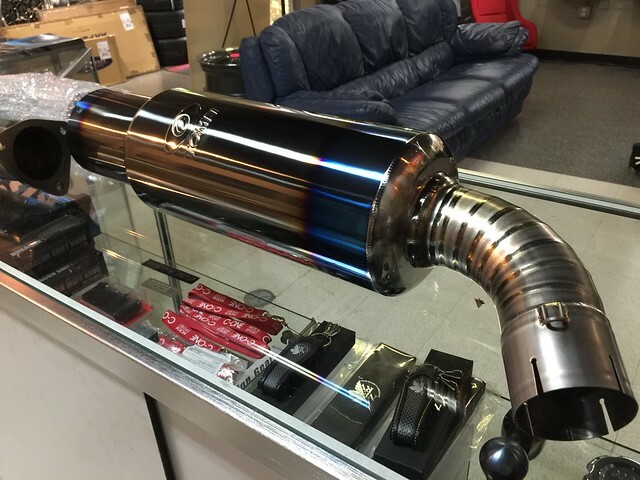 We are excited to be offering this titanium line of exhausts here. Gives everyone an option if they want to shed a lot of weight off their Honda S2000 and also gain a couple HP. And the pricing for a full titanium exhaust is not bad! Tomei has been around FOREVER and their quality has been top notch. That is why we are excited they have released this exhaust and test pipe combo for us S2000 guys! You never know what else they have in store for the car later. Our shop AP2 will be running this exhaust & test pipe soon, so stay tuned for install and sound clips!
" The Tomei Expreme Ti Titanium Cat-back Exhaust for the 00-09 Honda S2000 is a full titanium system for drivers seeking a light and high power system. By making this a single exit exhaust and as straight as possible, Tomei was able to gain power and torque throughout the power-band on a stock S2000 with the added benefit of massive weight reduction! Unlike steel, this exhaust will actual shed 42 pounds (compared to OE) off your rear and will also give your car that distinct dry race sound that can only be obtain with a titanium exhaust. " " The Tomei Expreme Ti Titanium Cat-less Test Pipe for the 00-09 Honda S2000 is a full titanium straight pipe that replaces the OE catalyzer. 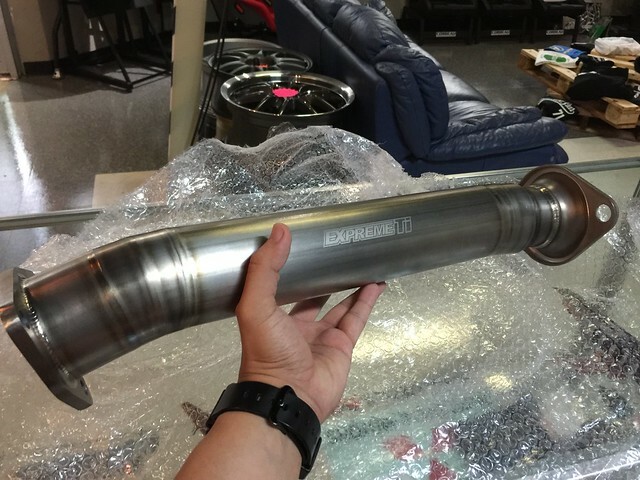 By making this pipe out of titanium and removing the catalyzer, Tomei was able to remove exhaust restrictions with the added benefit of massive weight reduction! Unlike steel, this exhaust will actual shed almost 10 pounds (compared to OE) of weight. It includes an O2 extension for the CEL fix and features a 60.5 to 70 mm diameter piping. This is the ultimate test pipe and best when paired with the Tomei Expreme Ti Titanium Cat-Back! " You have to see this thing in person to recognize the quality. Cannot go wrong with a full 70mm titanium exhaust setup for under $1k! Have a fun and safe weekend S2ki! Happy Monday! Please PM me for the best pricing on this exhaust and or test pipe! 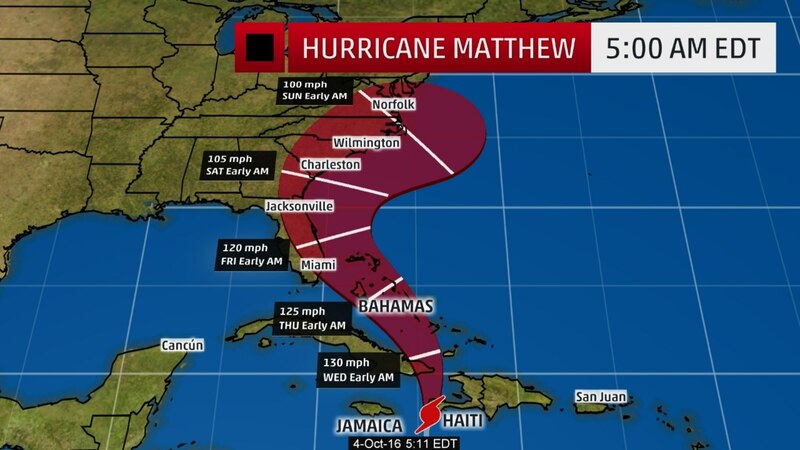 Anyone else bracing down for Hurricane Matthew?! I hope it isnt too bad! Just a heads up! We will be closed this Thursday and Friday due to Hurricane Matthew. If all goes well we will be back open on Monday. You can still check out through our website no problem. And I will try to answer PMs and emails as well (if we have power)! Stay safe everyone! All PMs answered! If you were wondering everyone here is safe! The brunt of the storm missed us by 40-50 miles. Still had some power issues and tons of wind and rain, but thats about it. Looking forward to sound clips and thoughts on drone. We should be installing very soon. I will post vids once we do.